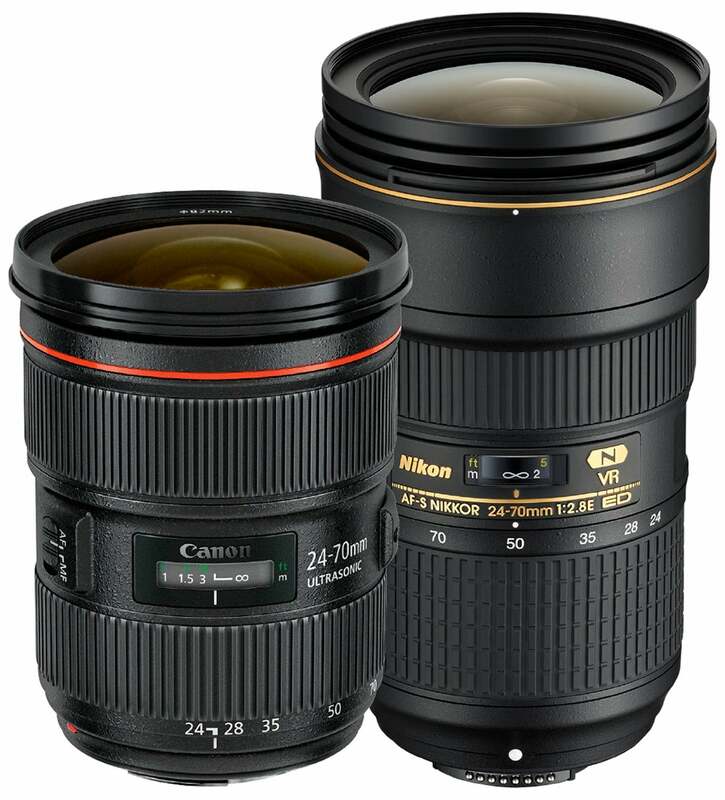 There are a few areas of lens design that both manufacturers and photographers believe affects optical prowess. One of these is the ‘professional’ f/2.8 standard zoom. In earlier times the major competition was zoom range. While the long end has remained fixed at 70mm, the wide end progressed from 35mm to 28mm, then to 24mm. That is where this particular competition seems to have stopped, with the two main ‘professional’ vendors, Canon and Nikon, henceforth trying to compete in absolute optical quality. In 2012 Canon gave its version a major update, pulling out all the stops to produce the best lens it could. Since then, Nikon’s lens, while much loved by it users, has seemed to lag behind. Now Nikon has released its response with the new 24-70mm f/2.8E VR lens, which out-specifies the Canon by the inclusion of optical stabilisation. It seems likely that Nikon designers will have done whatever they can to match, or exceed, the optical excellence of the Canon lens. which company is describing its lens. Dispersion is the property of glass whereby its refractive index, or light-bending power, varies according to the wavelength (colour) of the light. It is dispersion that causes the phenomenon known as ‘colour fringing’. Optical designers correct this as best they can by including different types of glass with different dispersions, in such a way that they tend to balance out. However, since the way that the refractive index varies with colour differs between glass types, it is impossible to achieve complete correction. We talk about ‘achromatic’ lenses, which are corrected at just two spot wavelengths and ‘apochromatic’, which are corrected at three. In a lens design, there are key elements that exert the majority of the refractive power. If these can be made of glass with a high refractive index that changes little with colour, the rest of the lens design will have much less to correct. Thus, making these elements from ED glass can produce a better lens. There is, however, a problem. These elements also have the most influence in the spherical aberrations of a lens – those caused by the manufacture of lens surfaces as parts of a sphere, which can be corrected by giving them an aspherical surface. There are three methods for manufacturing aspheres. One is the hybrid asphere, where an aspheric plastic surface is bonded to a spherical glass element. This makes no sense when the objective is to use the special optical qualities of ED glass. The next method is precision glass moulding, in which the element is moulded, rather than ground, to shape. For very low dispersion glasses, which are usually the fluorophosphate type, this has been problematic, since these glasses are prone to unwanted crystallisation as they cool, which restricts the use of processes such as moulding. The final option is precision grinding to an aspherical form, which is time consuming and expensive. Neither Nikon nor Canon is saying much about the approach it has taken.